Little Reader Wins Another Award! (PTPA Seal of Approval) - . :Early Learning Community:. Two weeks ago, we announced that Little Reader won the Media of the Year Award for the Creative Child Awards 2011. Today, we're happy to announce that Little Reader won another award, namely the Parent Tested, Parent Approved Seal of Approval! BrillKids now has the coveted Parent Tested Parent Approved (PTPA) Seal of Approval! After having just won the Creative Child Award, Little Reader has now also won the PTPA Winner's Seal of Approval! PTPA Media has North America's largest volunteer parent testing community, with over 40,000 parents and was rated the Most Trusted Seal by 22,000 parents. Consumers looking for high-quality products and services can rest assured when they see the PTPA Winner's Seal; it's evidence of a products' excellence from having been evaluated by unbiased parent testers. 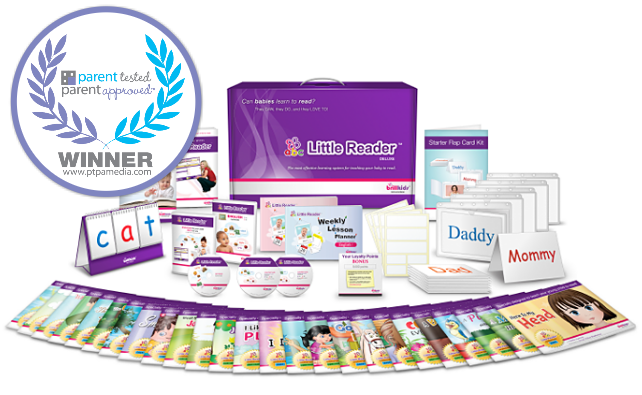 Our Little Reader Learning System was among many entries from across North America competing to earn the PTPA™ Seal. Independent parent volunteers evaluated products in their own homes to ensure that PTPA winners were chosen based on merit and consumer experience - not on commercial considerations. As a result, the PTPA Media™ Seal has quickly gained recognition as an international leader in certifying consumer products for quality, effectiveness and value. Their CEO and founder, Sharon Vinderine has appeared on over 40 morning shows as a reliable source for the latest and greatest in family products. The media and parents alike trust the collective opinion that PTPA Media represents. Being honored with the influential Seal of Approval from PTPA Media Inc. is a huge achievement for any product geared to families, children or parents! "At PTPA Media, we are proud to play a role in certifying innovative products that families can trust," says Sharon Vinderine, CEO and founder of PTPA Media Inc.
"When consumers search for our Seal of Approval on product packaging and web sites, they are essentially searching for validation from their peers. Their peers will have objectively tested and approved these products based on their performance in a real life environment. 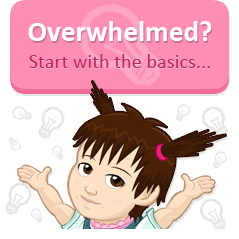 That type of resource for families is priceless." Get 10% off on any single BrillKids Online Store purchase! To celebrate this great event, visit the BrillKids Online Store from now until July 17, 2011 and use the discount code below to get 10% off on your purchase! 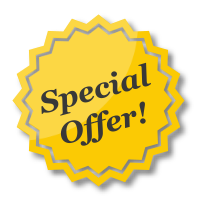 This special discount is valid only for 72 hours (or until July 17, 2011), so don't forget to head to the Online Store to get this limited time offer! This promotion applies only to orders made at the BrillKids Online Store. The discount DOES NOT include shipping rates. No adjustments can be made on prior sales. BrillKids reserves the right to change this promotion at any time. Offer void where prohibited or restricted by law. This promotion is valid only until 17-July-2011. Yay! Boy you're just raking in the awards aren't you! Well deserved, I will add! wow!!! so glad I got the product! congrats! Congratulations, i am not surprise. It is an excellent product. That is wonderful! This program definitely deserves the awards. We are still having great success with it with my daughter. Yes, of course. I use Power Point for Mac and it works great!